Smyril line is based in the Faroe islands. During the summer its ferry operates a service between Iceland and Denmark that NO LONGER includes Bergen. 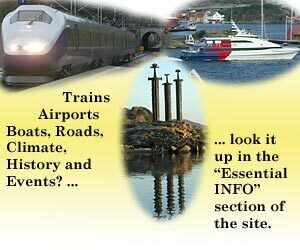 The ferry services Iceland, Faroe and Denmark. This round trip takes a week for the M.S. Norruna. Packages are available to take several weeks (minimum 3) to explore with your car around these amazing islands.